Book Appointment Customer Service & Sales 0800 999 0909 or 01384 900 185 | Stourbridge | headoffice@dwwindows.co.uk | Opening hours: Weekdays 9am - 5pm, Thursday 9am - 6pm, Saturday 9am - 4pm. DW Windows install quality double glazing solutions throughout The West Midlands. With our head office in Coseley we are only a short drive away from the centre of Stourbridge. From Audnam to Steven’s Park, our knowledge of Stourbridge properties is detailed and extensive. Our installers are often working on projects across the area and they are passionate about improving the living standards of all our customers. Founded in 2006, DW Windows have quickly become established as one of The West Midland’s leading double glazing installers. We offer a wide range of uPVC windows and doors, and a collection of stylishly modern conservatories and orangeries. We also offer free and friendly advice on all our products and services. Located at the edge of the industrial Midlands, not far from the unspoiled countryside of Shropshire to the West; Stourbridge enjoys an excellent and convenient position. Whether you want the hustle and bustle of Birmingham and Wolverhampton or the peace and tranquillity of rural England, Stourbridge is the perfect place to call home. Since the 17th century, Stourbridge has been a centre of glass making. The industry is still alive today, with Stourbridge crystal maintaining its international reputation for quality glass blowing and sculpturing. It is perhaps apt then, that at DW Windows, we are providing glazing solutions for a community whose heritage is rich in a different kind of glass production. From the traditional Victorian terraced houses close to Stourbridge town centre to the nearby villages of Hagley and Kinver, we’re likely to have carried out an installation on a property near you. Our extensive local knowledge makes us the best people to complete your home improvements with style and professionalism. Whether you live in a modern apartment in Drury Lane or a period property on West Street in Stourbridge old quarter, we’re sure to know exactly what your property needs. Our specialist knowledge makes us industry leaders when it comes to double glazing installations. 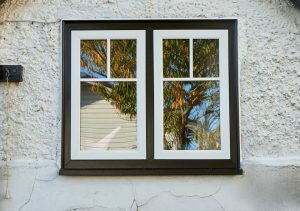 At DW Windows we are committed to providing the best standard of work on all our installations. We use only the best quality products and all our installers are qualified and committed to their work. If you live in Stourbridge and want to find out more about our products and services, get in touch. There’s always a member of staff who’ll be happy to assist with all your enquiries.